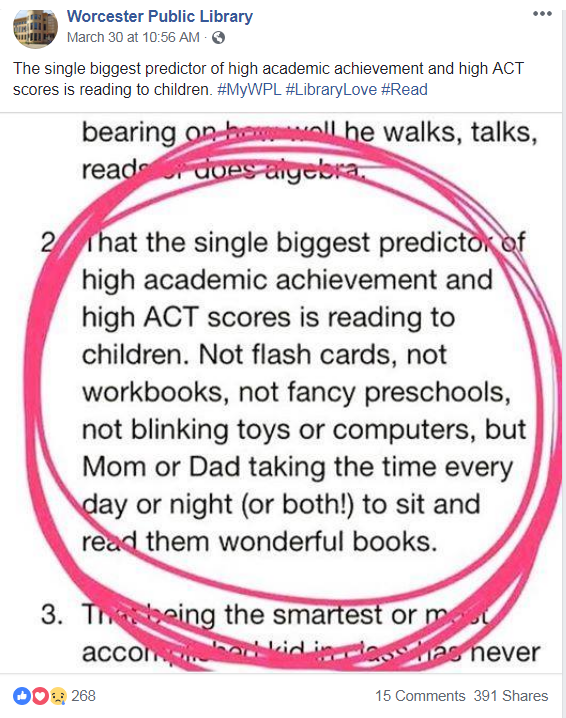 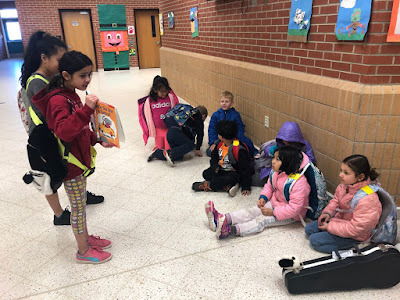 Willingham recommends making sure that reading material is highly visible—in every classroom, in multiple rooms in the house, in the car, and so on—to maximize the chance that children will pick something up and read it. 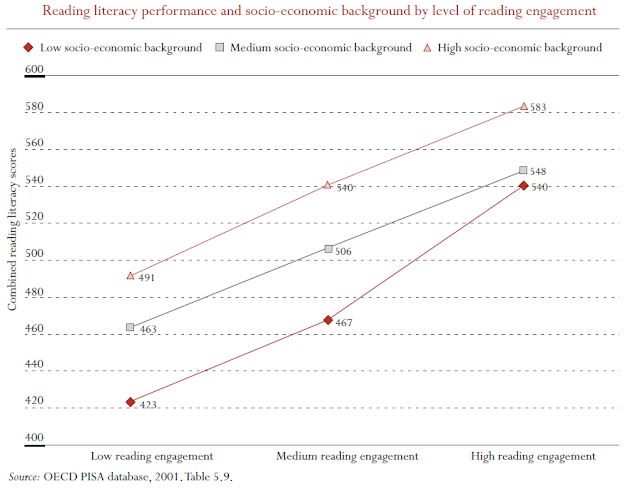 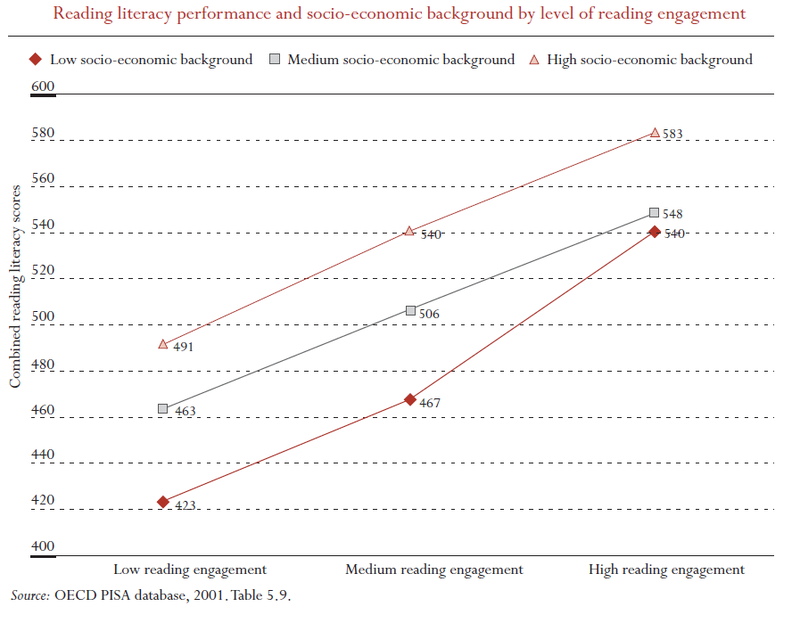 Here, reading is equated to quality time between parents and their children. 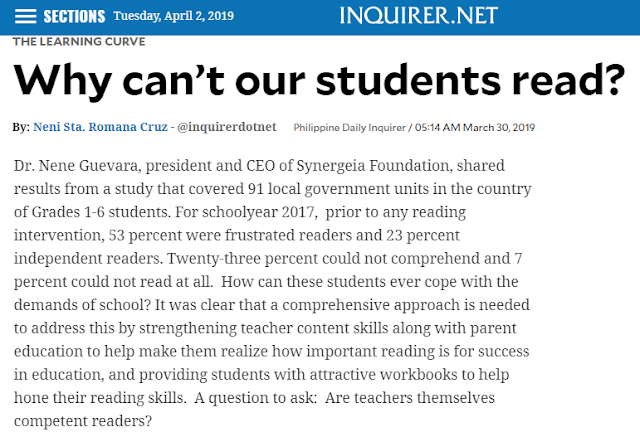 It is sad that in the Philippines, the knee-jerk response to the dismal state of basic education is questioning the competence of teachers when the obvious reason is clear: Most children and their families have nothing to read.